Looking back at TNG’s 5th season episode “New Ground,” most would probably remark that it was – aside from establishing Worf’s son, Alexander, as a recurring character and featuring the return of the fantastic Georgia Brown as Helena Rozhenko – a fairly average, if unremarkable, episode of the series. However, as a teacher in the primary grades, I was particularly interested in the glimpse we got into the education system aboard the Enterprise. 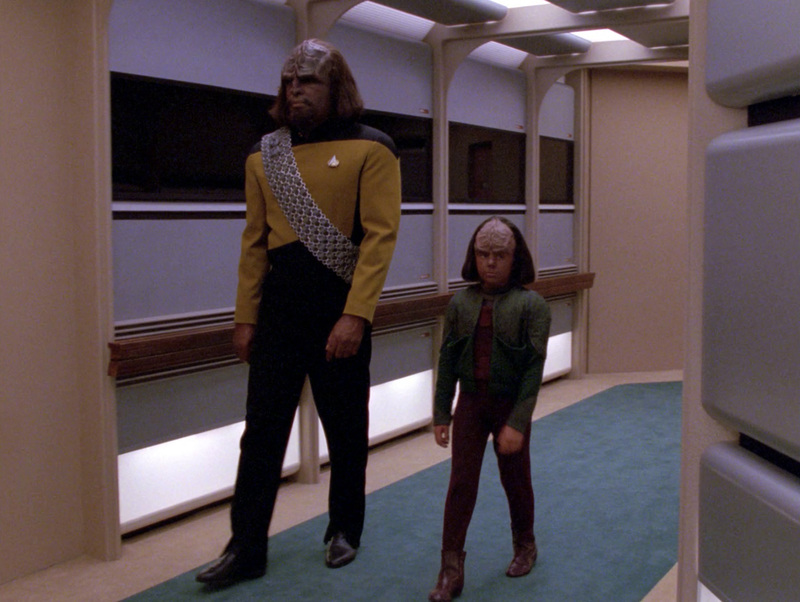 Throughout the episode, we see Worf struggling to be a parent to his son while also witnessing Alexander struggling to be a kid in new and unfamiliar terrain. Alexander’s challenges manifest through behavior patterns that – let’s just say – do not meet expectations for students enrolled in the Enterprise’s elementary school. Working in an urban school district – both with a general education population of students as well as in a special education setting – I have had experience with several students that are often considered “challenging” or seen as “struggling” due to their behavior. When this behavior is extreme and persistent enough (i.e. verbal and physical violence, consistent defiance, etc. ), these students are often assessed and given an EBD label. EBD is an educational term classifying students as having Emotional and Behavioral Disorders, while designating the need for additional supports in order for them to be successful in a school setting. With this label, an Individualized Education Plan (IEP) is written for the student by the assessment team, and then the student receives special education services based on the amount of need. I can’t necessarily speak for the instructional strategies that Ms. Kyle used when working with Alexander, but during this conference scene, I couldn’t help but be reminded of the role that implicit bias often plays in sequestering or other-ing students that look different and show signs of challenging behavior. Data from the U.S. Department of Education suggests black children are nearly twice as likely to be classified as having EBD than their white peers. (Note that over 80% of teachers are white.) The classification of EBD can often lead to more restrictive settings for students – schools and classrooms that are segregated from the greater student population. As a white teacher, it’s very easy to make quicker judgments on students of color, and subsequently allow those quick judgments lead to broader stereotypes. In the episode, Worf even considers segregating Alexander, considering a Klingon boarding school separate from his peers on the Enterprise. 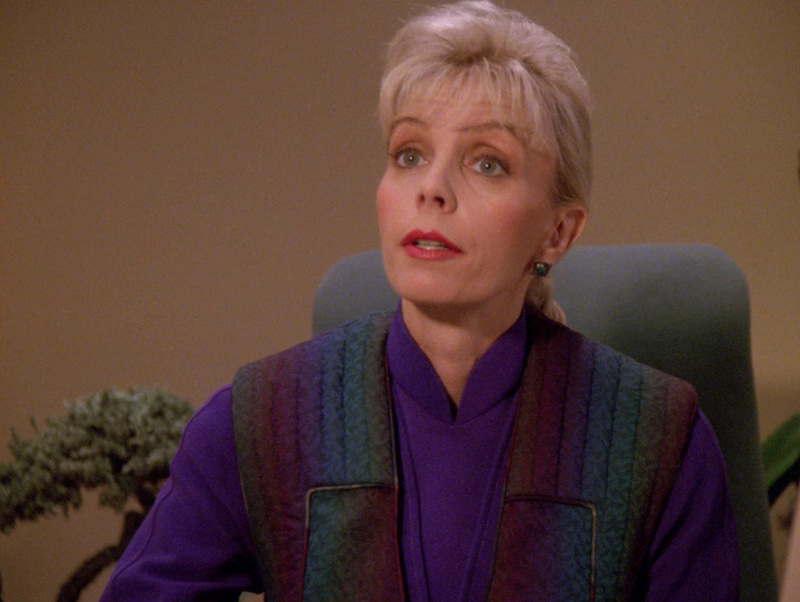 I appreciate that Ms. Kyle showed enough care and concern for Alexander to try and work with Worf to find a solution for Alexander’s acting out. However, I also can’t help but wonder how much of Alexander’s “problem” (aside from working through changing family structures) stemmed from standing out as the only Klingon child – different from his peers and different from his teacher. “New Ground” shows Alexander has cause for emotional distress. Not only is he adjusting to living with a father he barely knows, an entirely new culture and lifestyle, but also still processing residual feelings and grief from his mother’s death. However in his case, labeling and removal from his school setting was not the solution. This is true in real life as well. While there are indeed students who need more specialized school settings and additional support structures, there are others who are unnecessarily labeled and segregated simply because they stand out as different. In order to change this, we must push for more a diverse representation of educators as well as check and be aware of our own implicit biases.